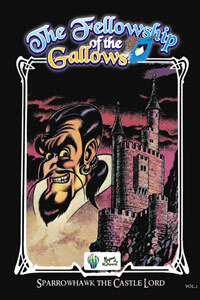 Spectrum Pacific Publishing introduces the classic Italian series The Fellowship of the Gallows, drawn by the legendary Magnus, for the very first time in English. An epic 20-volume series that mixes Tolkien, medieval history, classical Northern European and Middle Eastern tradition, and Magnus' personal travels. 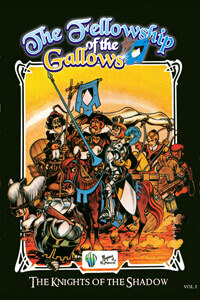 The Fellowship of the Gallows is a group of seven soldiers of fortune who get separated while engaged in fighting the Lord of Darkness and end up wandering through Europe, North Africa and Middle East reaching as far as Baghdad in Iraq, until they finally reunite after numerous setbacks.